There’s some good news about Monarch butterfly populations. 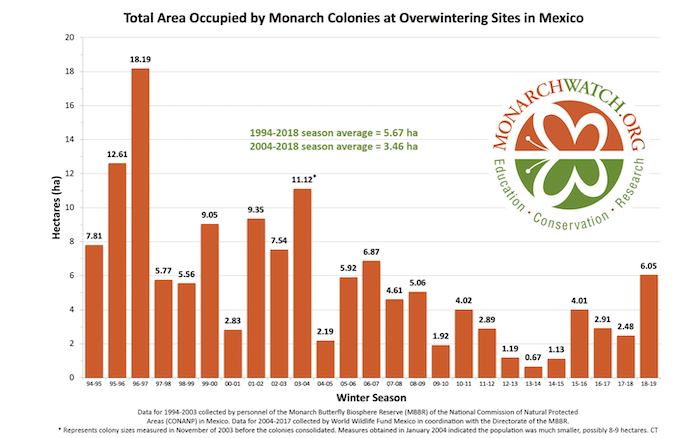 Monarch Joint Venture reports 2018-2019 Eastern Monarch overwintering numbers are up 144% from last year and the highest they’ve been since 2007. The population occupied 6.5 hectares of land. You can read more about the numbers here. 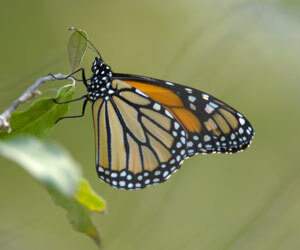 Loudoun County Monarch enthusiasts saw lots of these beautiful creatures last summer and fall. The numbers are encouraging but much more needs to be done so keep planting the milkweed!